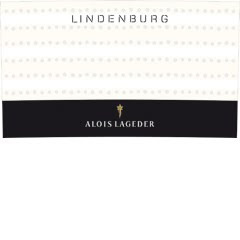 I recently had the opportunity to taste eight wines from Alois Lageder, the foremost Alto Adige producer, at an on-trade event at L’Altro Buca in Vancouver. The tasting and presentation was lead by director of sales Urs Vetter and organised by local wine agent blue note http://www.bluenotewines.com/ . The Alto Adige is a viticultural region of extremes; small - about the size of Chablis, a meso climate of cool alpine air and Mediterranean warmth (one of the five warmest regions in Italy) and a huge diurnal temperature drop due to a thermal inversion between 200 to 1200 metres in the wine growing valley. 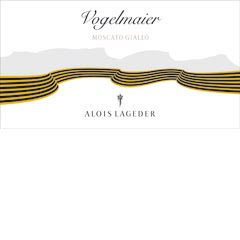 It's alluvial and scree deposited soils add complexity (Dolomitic limestone, gravel, and sandstone prevail) along with state of the art and forward thinking wine making under the fifty plus vintage by winemaker Luis von Dellemann create an iconic wine style that represents the Alto Adige. Straw green with fresh pear and green apple aromas. Medium-bodied with good concentration, well balanced acidity and refreshing pear, mineral, and green apple flavours. Perfect with shellfish, trout, or cerviche. Straw yellow with a flinty and lanolin aroma. Medium-bodied, concentrated, and layered with apple, mineral, and subtle peach and alpine flower finish. Pair up with caprese salad, grilled asparagus, creamy mushroom pasta. Single Vineyard Grigio (20-40 year old vines, chalky soils) with 80% stainless steel fermentation and ageing with 20% Allier oak ageing. Straw green with flinty, ripe pear, and peach aromas. Medium to full-bodied, concentration and crisp with ripe fruit salad notes - think a bowl of apple, pear, peach and fresh grapes. This one would be great with poultry, fleshy seafood, and charcuterie. Certified Bioydynamic 50% each varietal. Straw green with mineral and tree fruit aromas. Medium-bodied with ripe Chardonnay fruit (pear, spice, Macintosh apple) and subtle sur lie notes. Perfect with salmon, scallops, or simple chicken dishes. Straw yellow with strong rose and subtle lychee aromas. Medium-bodied, dry and concentrated, with rose, spice, and subtle lychee flavours. Long finish of rose. Perfect pairing with pate, mild creamy blue cheese, and the mild curry. My favourite white on the tasting! Single Vineyard. Straw green with fresh grapey and peach sorbet aromas. Medium-bodied, rich and ripe, and full of delicious fresh sweet grape, peach, pear, and apricot. Well balanced, complex, and very tasty. Pair this one with a sushi rolls, Thai yellow curry, and BC spot prawns. Cherry copper colour with savoury and vegetal (tobacco) aromas. Medium-bodied, dry, with flavours of strawberry, hay, savoury herbs, tobacco, and subtle spice. Almost a Rhone Mourvedre in flavour. According to Urs this is the perfect all rounder to curry! any heat! Cherry red colour with a complex nose of earth, smoke, and oaky cedar resin (12 months in French oak - Allier, Nevers, and Vosges 1/3rd new). Medium-bodied with strawberry leaf, cherry, red currant, and added oak complexity with nice cedar notes in the finish. Lagrein = Syrah possibly? Dense ruby purple colour with lovely chocolate, violet, and spice aromas. Full-bodied with some tannin (4-6 years ageing?) and concentrated structure wit flavours of dark chocolate, black currant leaf, and layers of spice. Almost a cross between the Rhone and Bordeaux! Perfect pairing with braised meats, stews, venison, or lamb. 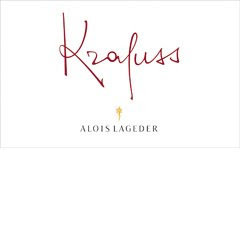 Overall I found the aromatic whites the strong points from Alois Lageder and the tasting of the lagrein Rosato and Estate Lndenberg Lagrein where eye openers on the region and the varietal. The Alto Adige looks amazingly beautiful and through a quirk of nature - climate and soils along with Germanic efficiency make this region one to watch.